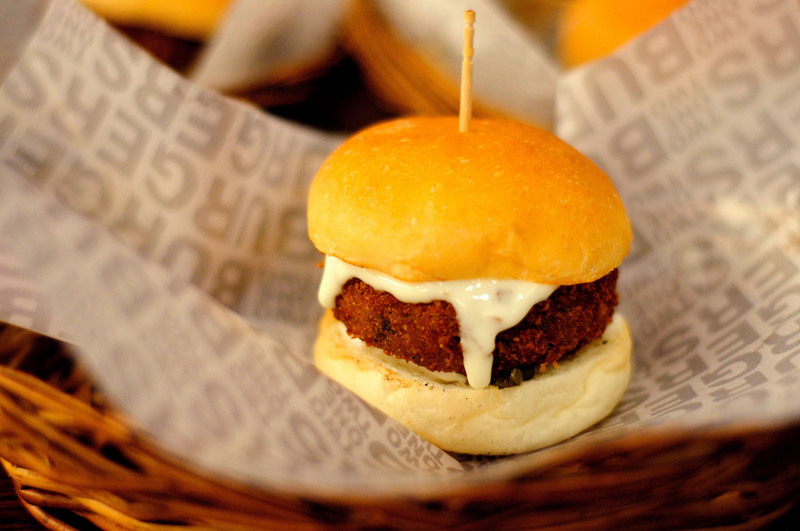 Sliders are basically mini burgers- but cuter because of their tiny size. They aren’t exactly common in India and so when Ketan Kadam launched an eatery around the concept in Bandra, Mumbai, I was immediately intrigued. 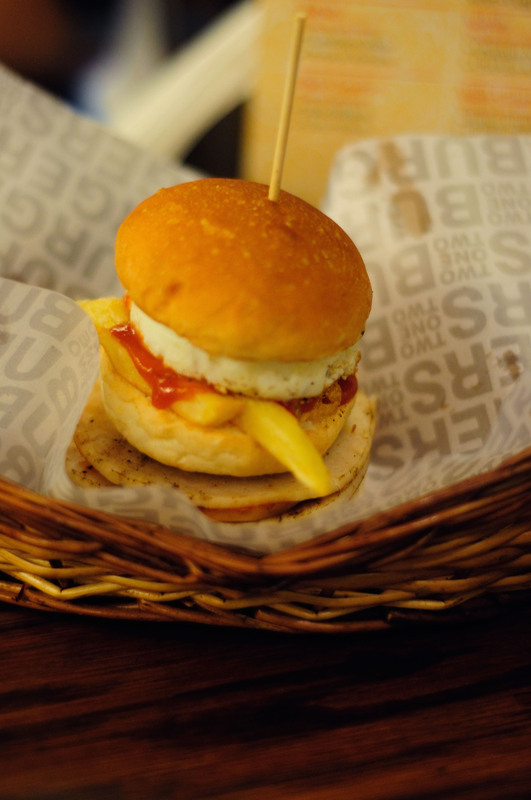 Along with my photographer and foodie friend, Sanket, whom you know from my previous post, I went to Sliders after work one day. I’m vegetarian, Sanket is not. So the review below is jointly written by us. 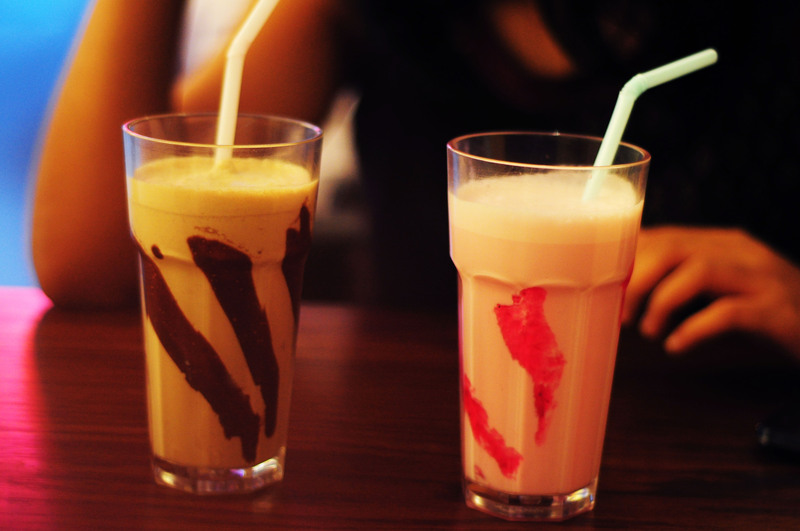 We began our meal with the Nutella Coffee (Rs 110) and Strawberry Rush (Rs 110). “The Nutella Coffee was light on flavor and was nicely presented, though personally I would have loved a water based drink to accompany the mini burgers,” Sanket feels. The Strawberry Rush was light and easy on the stomach-exactly how beverages ought to be. It doesn’t fill you up and so, there’s enough room for actual food. 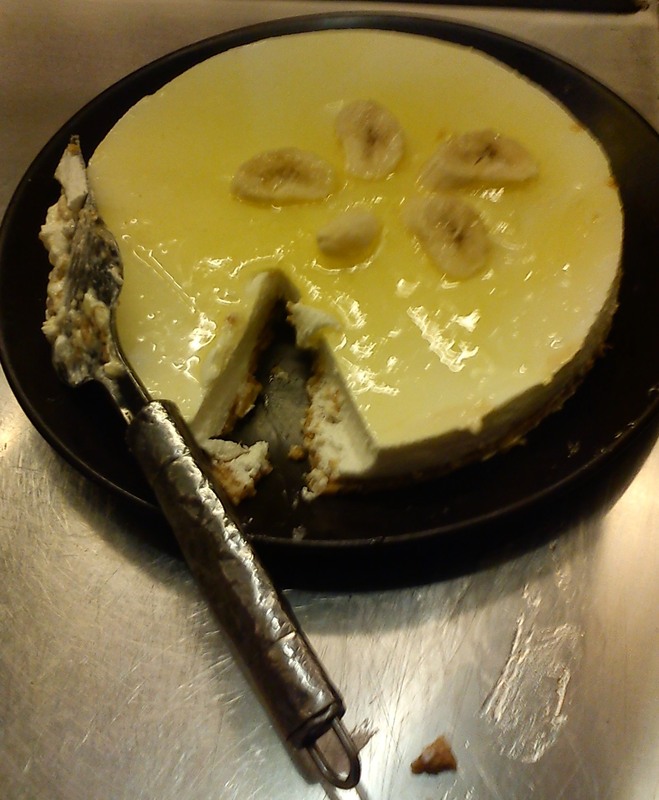 The flavour and sweetness level was perfect. Coming to the vegetarian sliders, the Jalapeno Popper packed in the just the right punch of hotness. The cheese nicely balanced the spice. It turned out to be my most favourite among all the sliders. Next up was Wild Mushrooms. Although it lacked the distinct mushroom flavour that one would obviously expect, it was pretty delicious. The Mac and Cheese was strictly okay but full points for the innovative thought. I suppose a lot many would order this slider out of sheer curiosity so perhaps it would do them well to improve the flavour. I also sampled the Falafel slider (again, superb idea), and it didn’t disappoint. Fans of Middle Eastern cuisine will definitely savour it. So the only vegetarian slider I didn’t try was the Paneer Chilly… because 1) There were more unusual options to choose from, and 2) There is only so much I can eat-even if it’s for the sake of my blog. 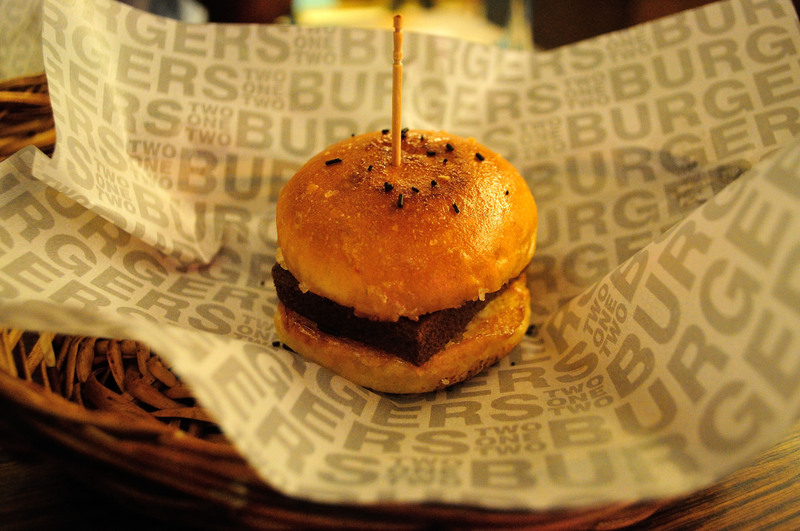 Coming to deserts, Sliders offers a Brownie slider-a small chocolate brownie with (excessively) sweet chocolate sauce wedged between toasted mini buns. Sanket was skeptical about it at first but soon was wishing he had room for more! I, on the other hand, didn’t like it too much. Sliders scores on all fronts. Food- great. Pricing- affordable. Service- polite. Ambience- no frills. All the pictures are shot by Sanket. More of his work can be found on his Facebook page. Fine print: Please note that we were guests of the restaurant for the day. Big ups to Amrita and Anisha for inviting us. 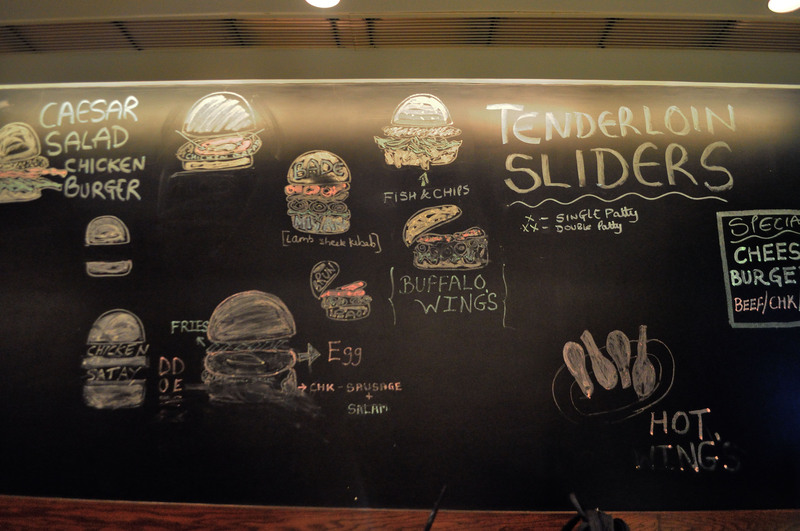 Sliders: New Karnal Building, Near Bandra Book Centre, Waterfield Road, Bandra West, Mumbai. Call: 022-66710844. Rs 450 for two people (approx). 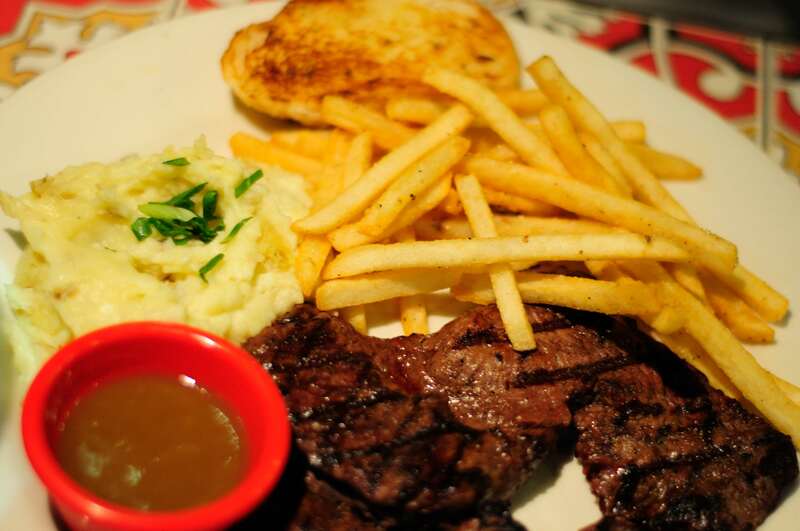 Chili’s gives you the feel of a regular watering hole filled with chatter from neighboring tables. 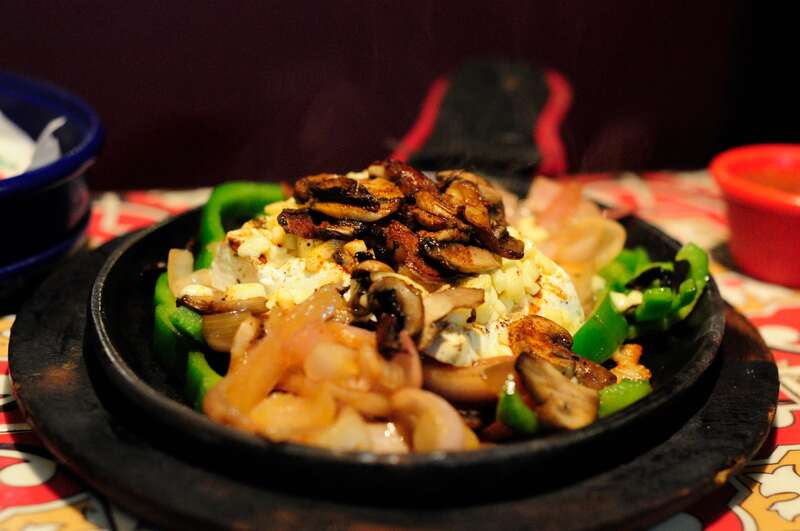 The place emphasises on the south western American cuisine, influenced by Tex-Mex. I was invited for Chili’s Grill and Bar’s food festival; they had a special menu for it. Rezy, the restaurant manager was of a great help throughout the evening, explaining what goes into the dishes and managing our expectations, especially when people think that Chili’s must have something to do with all the dishes being spicy. They are not. Rezy recommended starting out with a Beer-ita. As expected, it came in a tall beer glass, dark, yellow and frothy. It tastes like the usual draught (sans the bitterness) and leaves an aftertaste of margarita. 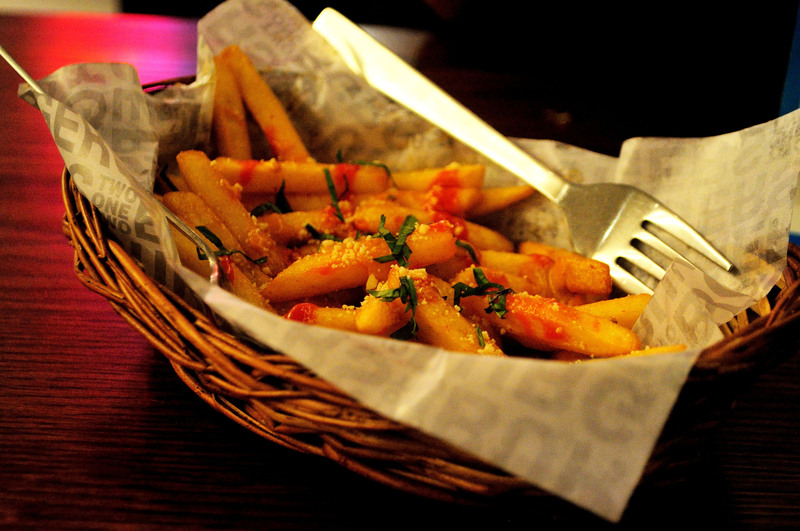 It was accompanied with Bold Calamari with Cilantro ranch (Rs 395). The pairing would’ve been ideal if it were to be just beer. However, the Calamari was crunchy and satisfying enough. 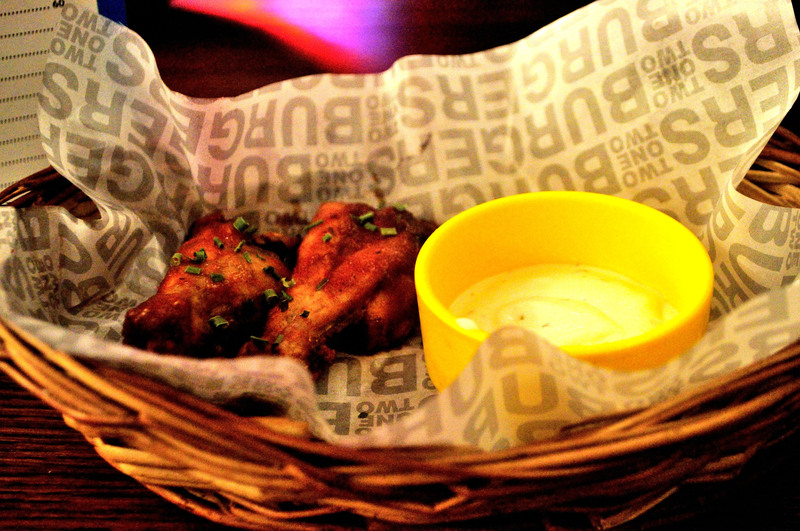 Then, we were recommended the Triple dipper (Rs 495). Given the fact that I was sharing my table with a vegetarian, we ordered Southwestern Rolls, Texas Cheese poppers, Paneer bites and Boneless chicken wings. Other than the wings all of them were vegetarian preparations. However, the best of them was the Paneer bites, you felt the initial crunch as you bit into the softer insides, it just disappears in your mouth. The Cheese poppers can barely be qualified as solid, these just melt as soon as it slides in your mouth. Chicken wings were a bit spicy with a sweet aftertaste, Southwestern Rolls were devoured before I even had the opportunity, must be that good. 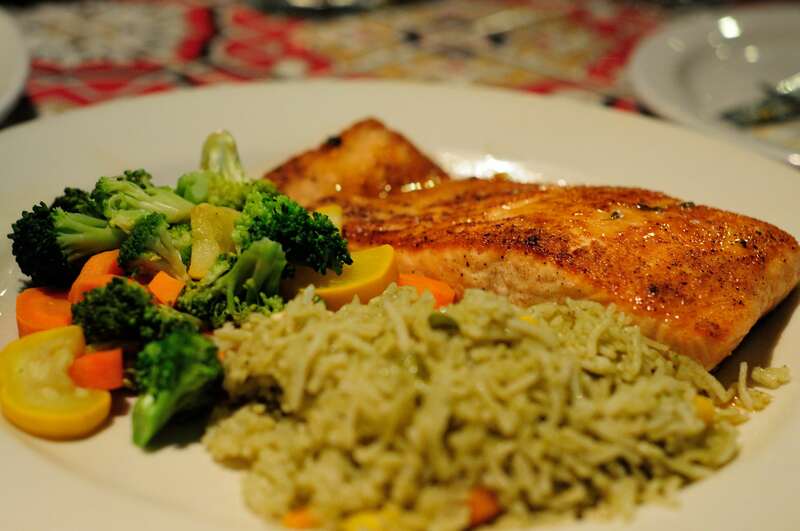 As I primarily eat fish at any given opportunity, I was waiting for the Orange Habanero Salmon (Rs 725) ever since I read the menu. Finally it arrived, paired with the freshest Brocolli and cucumber, the orange coloured fillet sat there emanating a smoky aroma. After taking a deep breath I sliced a part of the fillet, pink flakes of the salmon gave way for my knife. As soon as it was in my mouth I could feel the balanced flavors. The Habenaro and fish combination goes really well. 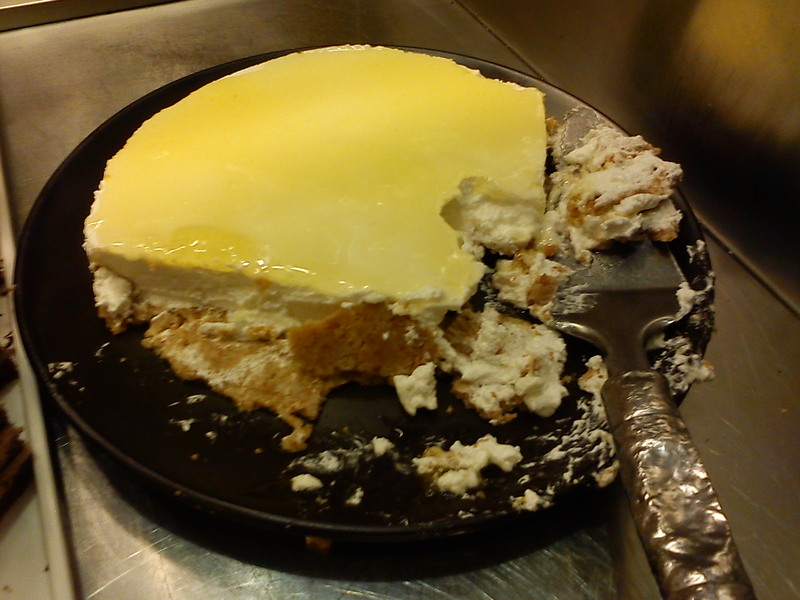 We had also ordered a Paneer and Cheese Fajita (Rs 395). For someone who has never tasted the Quesadilla, I would want to recommend this to them vegetarians. Molten cheese, paneer, mushrooms, sour cream, four different toppings… it’s like a carnival of all things nice and soft on a platter. 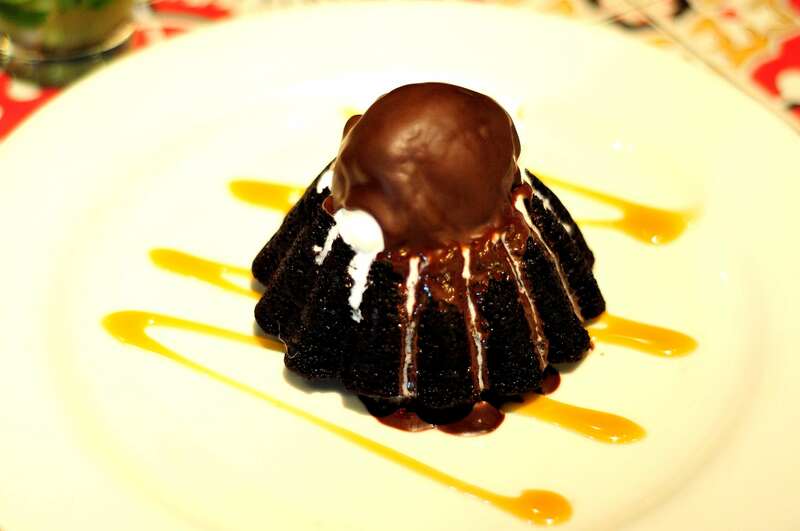 The meal concluded with the Molten Chocolate lava Cake (Rs 325). Sitting on top of a bunt chocolate cake is a dollop of chocolate coated vanilla ice-cream. As soon as you break open the chocolate coating along with the cake to get a spoonful of the Lava cake, you can see the ice-cream and the chocolate ooze out. Drool worthy site, quite literally. All photographs by Sanket Chavan. Check out more of his work here. Also, Sanket would like to thank his dear friend Amrita Hom Ray for inviting him and Karishma Shah for being such good company. 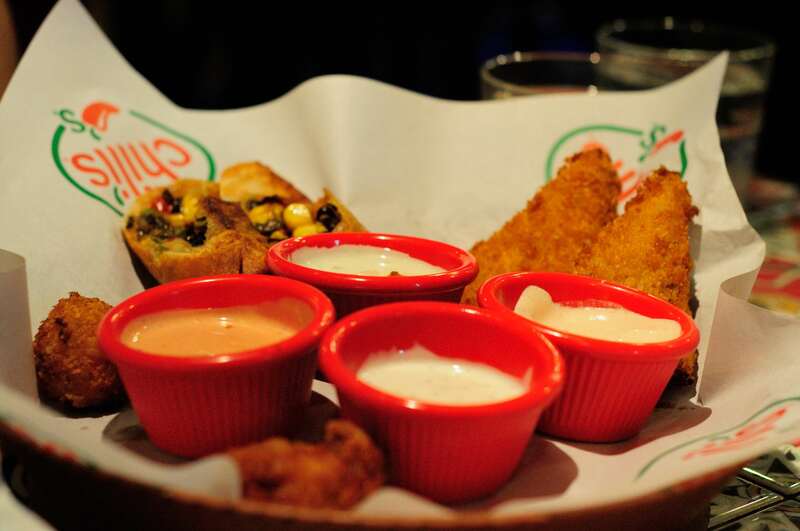 Chili’s: 13, Ventura Building, Hiranandani Business Park, Central Avenue Road, Powai, Mumbai. Muted interiors in brown greet you as you enter the Thane outlet of Barbeque Nation. The outlet, which has an indoors and an al fresco section, has a seating capacity of 145. On the Saturday night that we visited, all the tables were occupied and even when we left at 10 pm, a good number of people were waiting to get in.The concept of Barbeque Nation is unique. The highlight of Barbeque Nation is the grill they fit in the center of each table. It’s an absolute delight for fans of grilled food. Barbeque Nation is hit among non-vegetarians but it doesn’t result into them ignoring the humble ghaas phoos eaters such as yours truly. I really appreciate the numerous options they had for vegetarians. What they are essentially saying is that their vegetarian patrons are equally important to them. This philosophy is frequently missing among many restaurants which are known for their meat dishes. The starters began to arrive as soon as we had settled down. An assortment of marinated vegetables and other items on iron skewers was the first. So we have mushrooms, capsicum, cottage cheese, broccoli, cauliflower, and also, surprisingly, chunks of corn cob! Then came Dahi ke Sohote (sweet batter fried stuffed veggies), gold coins (crisp fried potatoes), paneer (spiced cottage cheese which was the right degree of firm and soft). Then they served one of their specialties – Crispy Corn. Batter fried corn? It was genius, really. I would have never conceived of such a thing. They tasted lovely – crunchy and corn-y. Haha. Then came another special appetizer – Spicy Paneer, which was a disappointment. There wasn’t enough spice to justify its name – in fact, it was completely bland from the inside and needed proper marinating). The cool thing about Barbeque Nation is the customisation it offers. A tray containing various tiny bowls of sauces and dips (soy sauce, mayo, etc) is placed on the table. You are free to marinate the veggies according to your preferences using a brush. And some time after all the starters are served, the chef drops by your table and enquires whether everything is to your liking. He can take your feedback and spice levels into consideration and go back and get you custom-made starters for you. As for the mocktails – they have a lovely selection and are affordably priced. Chocolate Monk was a smooth blend of chocolate, cream, hazelnut and ice cream. What’s not to love?! Pacific Blue was a cooling mix of litchi, lemonade and blue curaco. Cranberry Cooler, a combination of ginger, lime and of course, cranberry was rather nice. Lady in Red was strawberry based and got my approval. In the Fruit Punch, the dominant flavour was that of apple and was the only mocktail I didn’t really like. 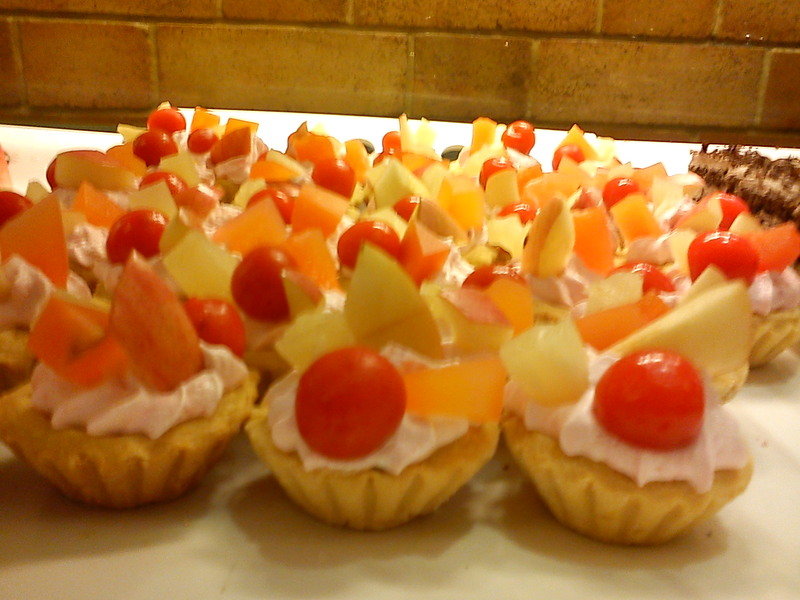 At Barbeque Nation, you are spoilt for choice. And what invariably happens is that they really pamper you with the starters. A quick inspection of the buffet table and it was clear that the mains would sort of be skipped in favour of the array of deserts on display. 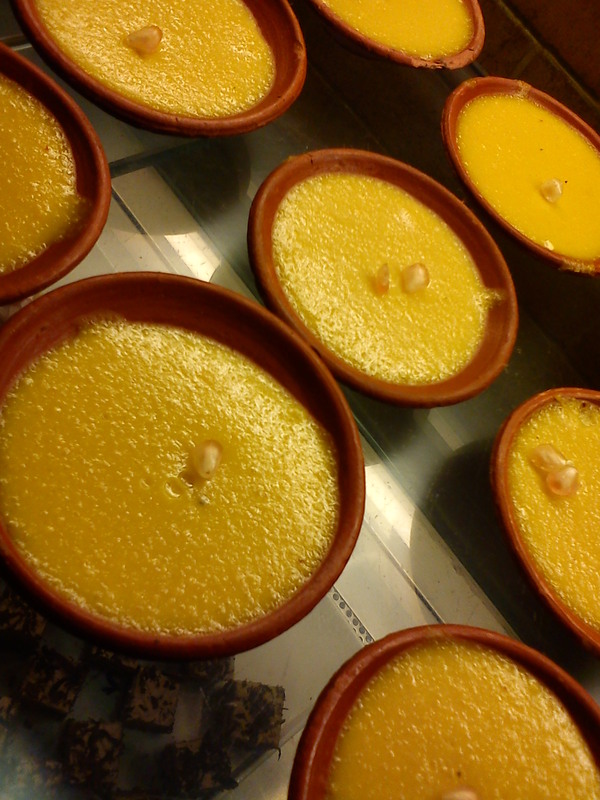 I mean, who wants to eat stuff like Aloo Capsicum and Dal Makhni when cheesecakes and fruit tarts slyly beckon you to come savour them! So I just had a little bit of Moroccan Harira soup, rice and Choliya te Paneer before loading up my plate with deserts. Before you think I’m greedy, let me tell you that they had nearly eight to ten sweet dishes and even though I took just enough of everything to taste, my plate seemed quite loaded! Seems like people REALLY liked it. Was quite full by then but then we realised that there was a live pasta counter in the al fresco section. I mean, how is anybody supposed to resist that? So off we went, and had ourselves a lovely plate of white sauce pasta. The chef made it as we wanted – abundant mushrooms, broccoli and bell peppers, extra herbs (rosemary, thyme, basil, parsley) and a generous amount of cheese. Needless to say, the pasta was divine. Throughout the meal, the service was prompt and polite. The only thing Barbeque Nation can work on is the music. ‘Hey Macerena’ doesn’t quite cut it! All in all, Barbeque Nation gets a double thumbs up from me! 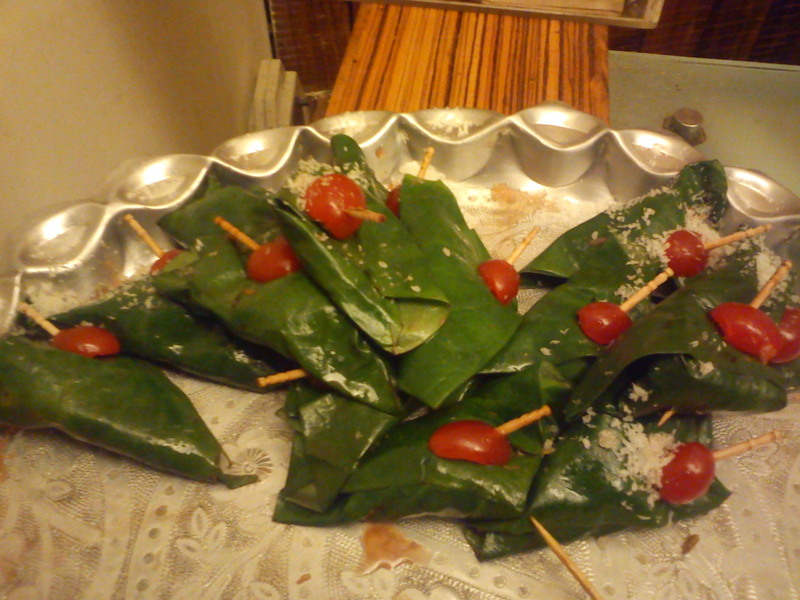 The paan at the end. Disclaimer: This writer and her companions were guests of Barbeque Nation for this particular meal. A yellow box containing Paneer on Biryani had arrived from Faaso’s. But first, let me take you back a bit. We have a ritual in our department to order in lunch every Saturday. Last Saturday, scouting the web for possible restaurant delivery options did not take me far. On a completely related note, Prabhadevi (in Mumbai) lacks serious food options. Potential restaurateurs, please consider Prabhadevi – it attracts so many office-going crowd. If things don’t change around here (by which I mean if eateries don’t spring up, threatening to occupy all corners of Prabhadevi), I swear I will set up a food stall which will cater exclusively to me and my cravings. Back to Faaso’s. It’s a fast food chain in Mumbai and Pune that specialises on delivery. Their tagline is ‘Wraps on the run’ and outlets typically have a really tiny seating section. 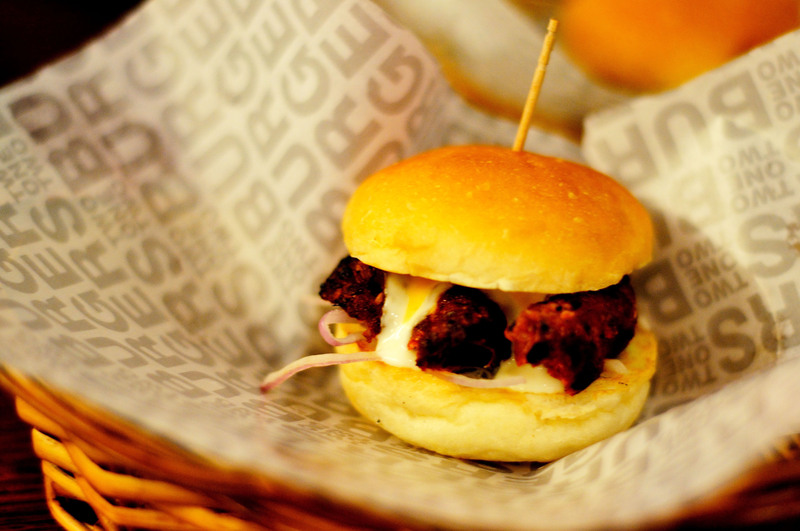 Their focus is on Indian wraps and rolls and making India cool in a non-cliche way. It has smart, witty statements and graphics on its branding and packaging. Eg: ‘Rice is a smooth operator. It gets cozy with multiple curries.’ And – ‘Our courses do not offer soup as it is not a part of our curryculum.’ The Biryani (Rs 120) arrived as promised, about 20 minutes after placing the order. Eagerly sampling a spoonful of the rice, I was taken aback by the lack of flavour. Did they forget the spices?! It even lacked salt. We salvaged the Biryani by adding generous (really generous, like Bill Gates generous) quantities of chaat masala to it. In case you are wondering how I got my hands on chaat masala in office.. between my colleagues and I, we have a mini pantry thing going on in our department. The Boss stacks steel spoons, forks and salt. And at any given time, I have ketchup sachets, plastic bowls, tissues and at least some type of food handy. Faaso’s has a few things going for it – I am mighty impressed by their packaging, look and feel. But no so much by their food. I am also a bit peeved by the fact that their minimum home delivery amount is Rs 100, when ALL of their vegetarian wraps and rolls are priced under Rs 100. Where does that leave the lone eater? I do not like being compelled to shell out more for eating extra food I did not want to order in the first place. I was also going to write about the utterly unpleasant guy who took my order on the phone, but I think it would be too much nastiness in one post. Think I’ll stick to the friendly neighbourhood Udipi hotel next Saturday.